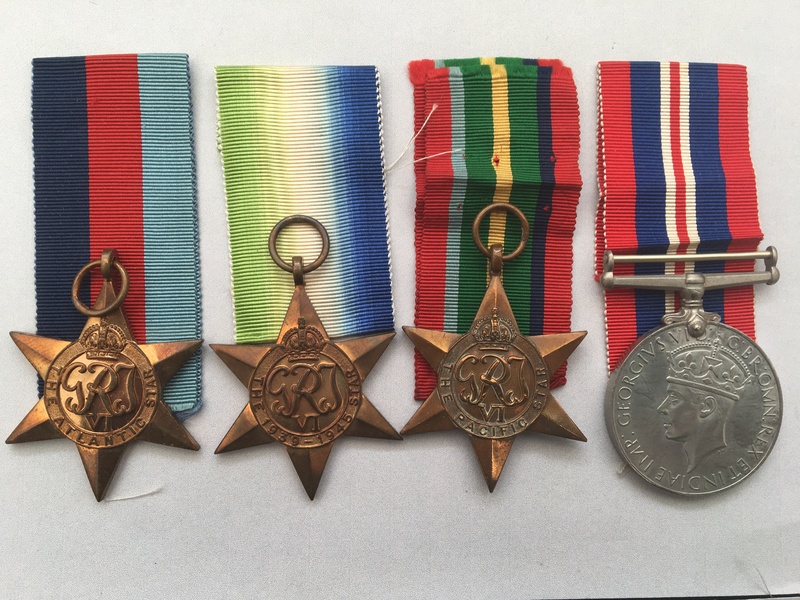 A WW2 Royal Navy medal group attributed to Mr W. H. Goodall from the Isle of Wight. 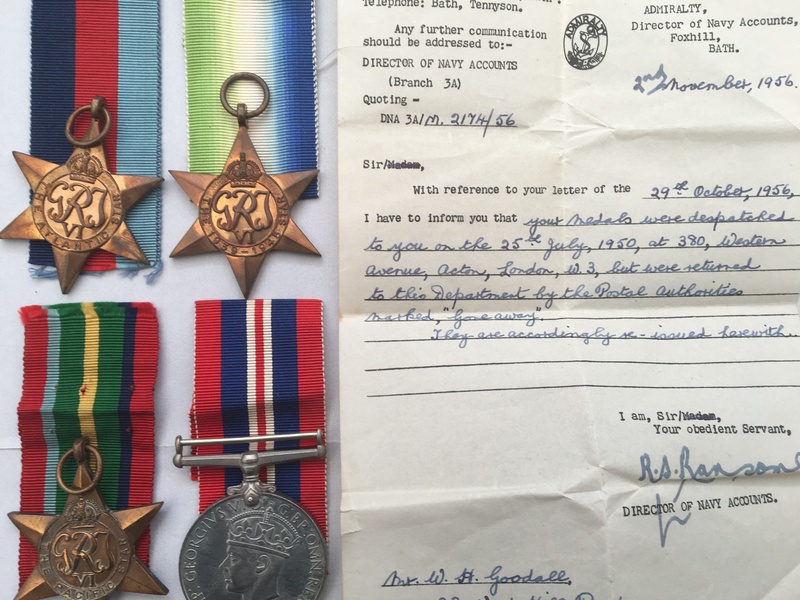 His personal details are taken from a letter from the Admiralty (included with this listing) confirming that his medals have been re-issued having previously been returned. Atlantic Star unnamed as issued. Pacific Star unnamed as issued. 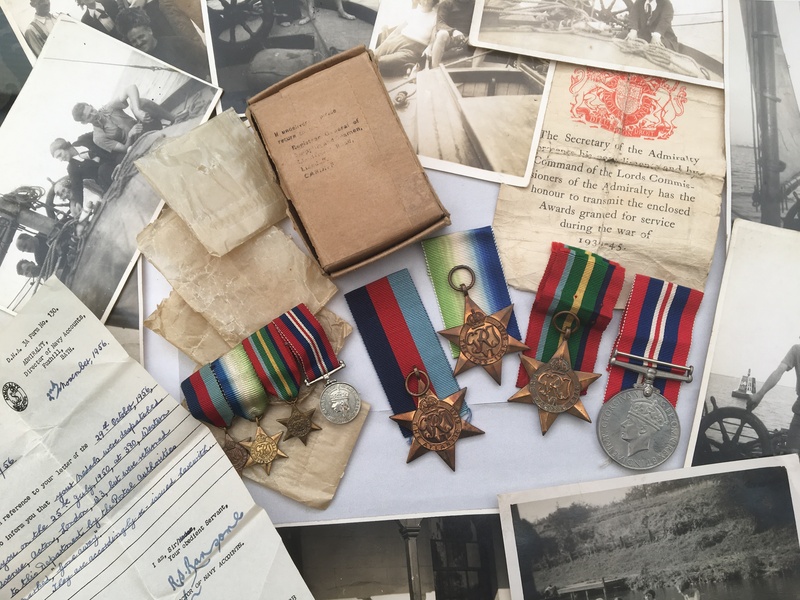 The medals are loose and come with their original box of issue still in their wax packets with original ribbons, along with an Admiralty Council Medal Award Slip. 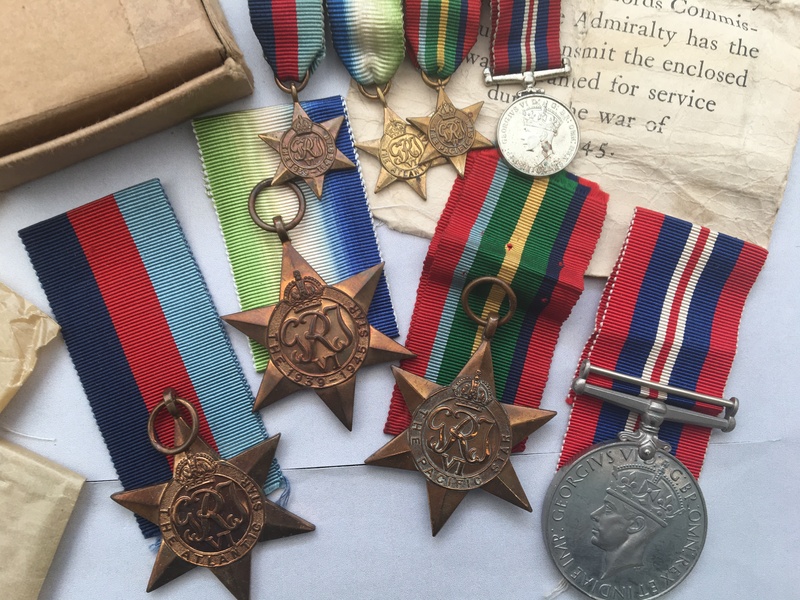 Additionally, this listing includes a matching set of contemporary miniature medals which are swing mounted with their original ribbons and a number of photographs showing Goodall enjoying dingy sailing presumable in and around the Isle of Wight. I have undertaken no further research in regards to this man.